If damaged, by physical trauma and/or an ulcer, a Koi's scales will grow back. It takes about a year for a scale completely return. Sometimes the color will be duller than it was before the Koi lost the scale. There are scaleless Koi. These are referred to as Doitsugoi. 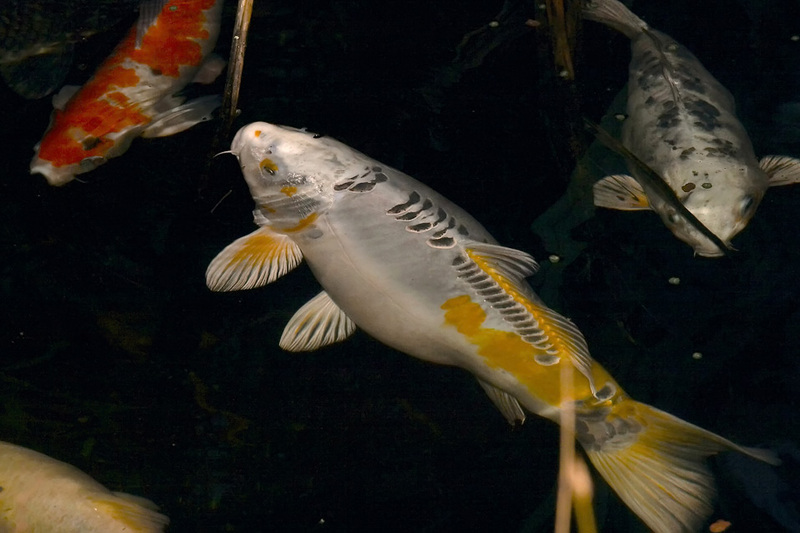 The regular colorful Koi were cross-breed with a European variety of carp that is scaleless in the early 20th century.